We can thank Robert Bosch for developing electronically controlled engine fuel injection systems which opened the way for engines to meet emissions and fuel economy mandates. The development of the oxygen sensor feedback system was a major improvement, and finally the development of the three way catalytic converter system was the "coupe de grace". Later OBD II systems are a further refinement of this basic system. Fortunately for enthusiasts of interesting older vehicles, the early systems are relatively simple and amenable for improvement using later technology. The original BMW M3 (the "Real M3" to some enthusiasts) is an example of an early Bosch Motronic engine control system. One of the areas offering improvement is replacing the old style Bosch "barn door" airflow meter (AFM) with a later less restrictive airflow meter such as a mass airflow sensor (MAF). However, on my M3 I installed an alpha-N (AN) type control system that doesn't use any airflow measuring device. The AN system determines engine load from a combination of the throttle angle (alpha) and engine speed (N=rpm). The system electronics receives these inputs and sends a calculated "load" signal to the engine computer. The map of throttle angle and engine speed operating points is is adjustable at each point for fuel delivery. By utilizing a wideband oxygen sensor which measures the air-fuel ratio operating condition of the engine, the fuel mixture across the load spectrum can be tuned for proper running. After tuning, the original oxygen sensor is connected to restore the system feedback loop. Because the original engine ECU is used, all of the cold starting, acceleration and other compensations of the original system are still operational. This systems works quite well and results in an improvement in power and a great improvement in driveability. Emission performance is maintained. However, on the M3, deleting the AFM requires restoring the air path from the air cleaner to the air plenum on the engine. To accomplish this I developed a special upper airbox. 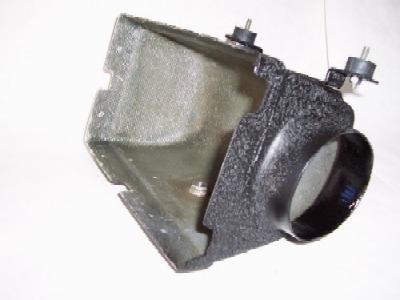 It uses the mounting flange portion of the original box so that the new airbox can be re-mounted to the lower airbox. In this way the original cold air intake system is maintained and the original air filter element can be used. 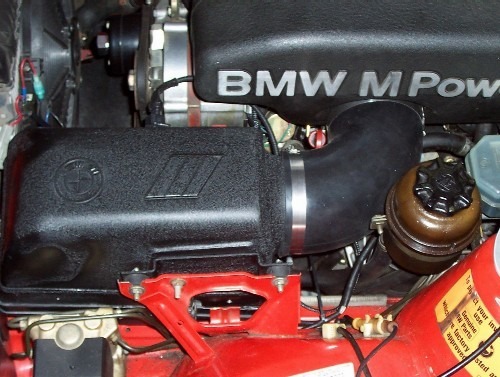 A larger, less restrictive hose connects the airbox to the plenum. A bung in the side of the airbox for an intake air temperature sensor completes the transformation. 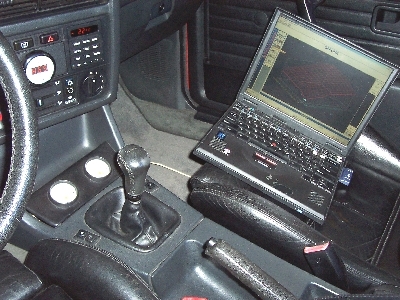 A laptop computer is used to monitor the operation of the system and to tune the AN system made by Maxx AN in Germany. The wideband oxygen sensor and signal conditioning equipment for monitoring other inputs is from Innovate Motorsports. 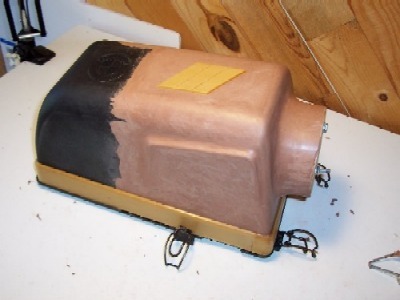 Here's the clay model I made in process to make the mold for the new airbox. 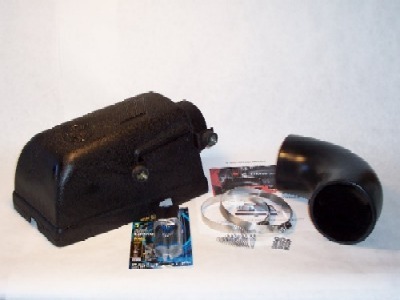 The new upper airbox installs on the original lower airbox to complete the airbox assembly. The mounting bracket uses the original mount in the car. A bung is provided for the intake air temperature sensor. I prepared a kit which I sold to other enthusiasts in the US and Europe. The complete kit includes all of the parts neccessary to make the installation, including installation instructions.